Hydrogen atoms, conceptual model. Computer artwork representing the structure of hydrogen atoms. Each atom has one proton and one neutron (large spheres) in its nucleus (pink), with one electron (bright dots) orbiting it. 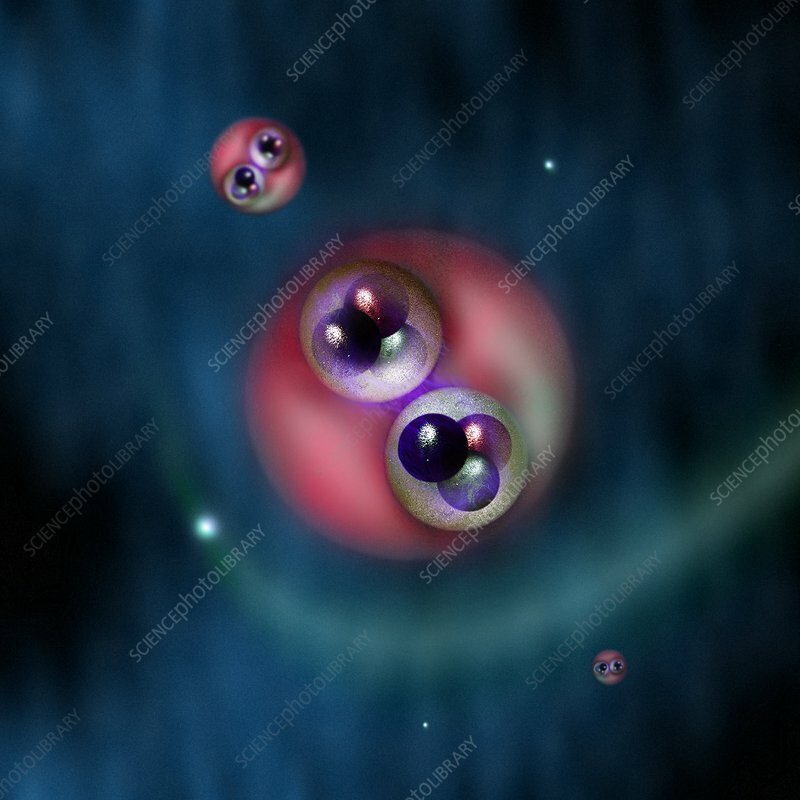 Each proton and neutron contains 3 quarks (smaller spheres): a neutron has one up quark and two down quarks, whereas a proton has two up quarks and one down quark.